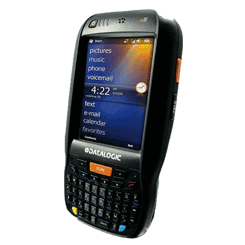 The Datalogic Elf mobile computer packs unprecedented features into a compact form factor built for single handed use. Use of an accelerometer eliminates awkward presentation of on screen data and a unique guitar pick stylus provides for intuitive touch screen navigation. 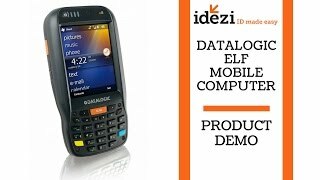 The Elf mobile computer provides four wireless technologies in the same form factor: Bluetooth EDR for fast data transfer, 802.11a/b/g with Cisco Certified security, UMTS HSDPA for real-time communication outside the enterprise and GPS for location based applications and directions.